Sunday, September 30, 2018, is the scheduled regular season-ending game of the 2018 season. ESPN will exclusively telecast any season Tiebreaker Games on Monday, October 1, 2018. You can find the entire MLB 2018 post-season schedule here. You can get access to these channels and live stream the MLB 2018 post-season games on MLB.TV, Sling TV, DirecTV Now, Hulu Live TV, YouTube TV, and PlayStation Vue. 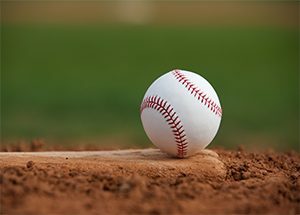 MLB.TV – The official streaming channel for the MLB. You can purchase MLB.TV all-access for $116/year or $25/month, which includes all teams. Or, you can buy the single-team package for $90/season. Sling TV – With the Orange + Blue package from Sling TV you get 53 channels for $40/month, which includes access to ESPN, Fox and TBS channels. The only downfall is that Sling TV limits ESPN and ESPN2 to a single device, so make sure no one else is streaming to another device in the household on game day/night. DirecTV Now – With the “Just Right” package from DirecTV Now, you will get 80+ channels for $50 a month. With this package (and the upgraded packages) you will gain access to ESPN and MLB Network. Hulu Live TV – A $40-per-month subscription with Hulu Live TV gets you 50+ TV channels, including ESPN, ESPN2, Fox, FS1 and TBS. With this subscription, you also get Hulu cloud DVR, which allows you to record up to fifty hours of content. An extra $15 a month gives you two-hundred hours of storage for DVR content. YouTube TV – The $40-per-month subscription gets you 50+ TV channels, including ESPN, ESPN2, Fox, FS1, TBS, and MLB Network. You also get unlimited cloud DVR storage to record games and support for six profiles on each account. PlayStation Vue – With the entry-level $40/month “Access” plan, you get ESPN, ESPN2, Fox, FS1, TBS. The next-up $45/month “Core” plan adds the PLB Network. For $5 more per month ($5/month) Spanish-language add-on, you get access to Fox Deportes. Tuesday, October 2, 2018: National League Wild Card Game presented by Hankook on ESPN. Wednesday, October 3, 2018: American League Wild Card Game presented by Hankook on TBS. Tuesday, October 23, 2018: Game One of the 2018 World Series presented by YouTube TV on FOX.